Produktinformationen "GW Instek GW-MSO-2202EA: Mixed Signal Oscilloscope - 200MHz - 2 Channels - 1GSa/s - 10M Memory - 120"
GW Instek GW-MSO-2202EA, a mixed-signal oscilloscope, boasts superb functions including the waveform update rate of 120,000 wfm/s and 10M memory depth per channel to allow users to completely retrieve and analyze waveforms. Its 16-channel logic analyzer has the memory depth of 10Mpts per channel, which can retrieve more and longer digital signals as well as clearly display digital signals to obtain sufficient information for analysis. The standard bus trigger and decoding functions include I2C, SPI, UART (RS232/422/485) and CAN/LIN bus for automotive communications. 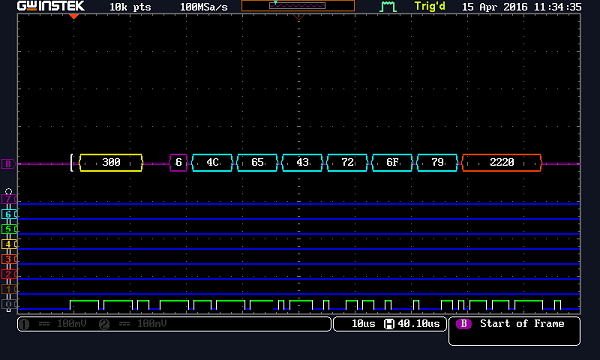 Serial bus waveforms can be triggered and decoded in real time. 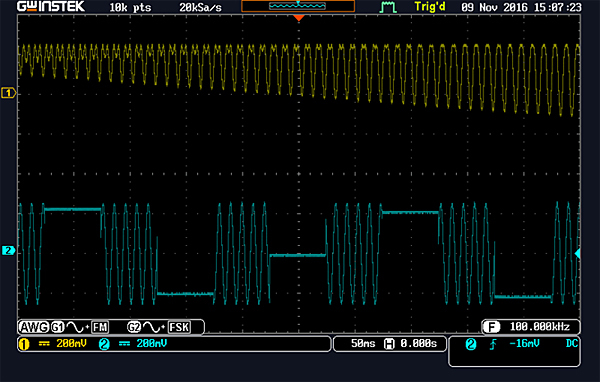 Via the waveform search function, the desired signals can be identified for analysis and debugging. The feature of converting digital signals into analog signals allows GW-MSO-2202EA to observe analog waveforms and abnormal digital signals simultaneously to clearly differentiate the cause of abnormal signals. The digital channel features high signal sensitivity, long record length and high sample rate. The minimum input swing of logic analyzer represents the minimum operating voltage of ±250 mV, which demonstrates that digital channels are highly sensitive with respect to input. This instrument offers complete analysis and debugging capabilities with the economical pricing. In addition to a 16-channel logic analyzer, GW Instek GW-MSO-2202EA has a built-in dual channel 25MHz arbitrary waveform generator with the modulation capability and also features 14 bits vertical resolution; sample rate of 200MSa/s; 5 standard output waveforms (Sine, Square, Pulse, Ramp, DC, Noise) and 7 user-defined waveforms (Sinc, Gaussian, Lorentz, Exponential Rise, Exponential Fall, Haversine, Cardiac); AM/FM/FSK modulation and sweep function. The friendly user interface of is the ideal choice for applications such as circuit simulation tests. The hardware characteristics GW Instek GW-MSO-2202EA are equipped with 8-inch display and feature bandwidth selections of 200MHz, 100MH, and 70MHz. Models with two analog channels provide 1GSa/s real-time sampling rate per channel; models with four analog channels provide 1GSa/s maximum real-time sampling rate. The waveform update rate of 120,000 wfm/s and the minimum 1mV/div vertical range allow GW-MSO-2072EA to measure complex feeble signals and clearly display measurement results. With respect to the memory depth, GW Instek GW-MSO-2202EA provides 10M long memory for users to completely retrieve and analyze waveforms. Users, based upon the application requirements, can select 1k, 10k, 100k, 1M or 10M memory depth. In general, short memory depth collocating with the high sampling rate allows users to observe fast-changing waveforms and, on the other hand, long memory depth aims for observing small waveform variation. Waveform search and segmented memory functions expand the flexible applications of 10M long memory. GW-MSO-2202EA segmented memory can be divided the maximum into 29,000 sections for users to bypass any unimportant waveforms to swiftly search all required waveforms. With the function, more meaningful waveforms can be saved and target waveforms can be displayed rapidly. With the waveform search function, users can rapidly search desired waveforms according to the required trigger conditions. 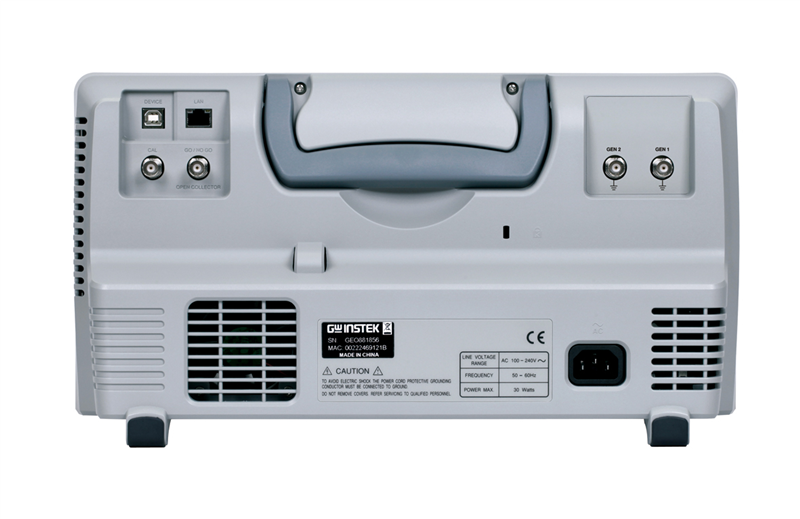 GW Instek GW-MSO-2202EA also provides 1M FFT display that allows users to correctly and efficiently acquire measurement results of the frequency domain. 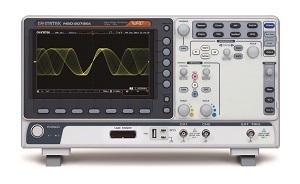 The waveform update rate of 120,000wfm’sec, Window Zoom and Peak Search, the instrument becomes the optimal choice as economical and multi-function mixed signal oscilloscope. Weiterführende Links zu "GW Instek GW-MSO-2202EA: Mixed Signal Oscilloscope - 200MHz - 2 Channels - 1GSa/s - 10M Memory - 120"